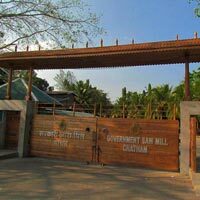 Start with arriving at Port Blair and proceeding towards the respective Hotel. After a brief relaxation time, Start for a tour of places in & around Port Blair (City Tour)- covering Anthropological Museum, Fisheries Cellular Jail, Naval Marine Museum (Samudrika) and the Cottage Industries Emporium (Sagarika) - for shopping & souvenirs followed by “Light and Sound Show” Where one can realize the heroic saga of fearless country people. At the end of the day back to the hotel stay in Port Blair. A water steamer from the water sports complex will take you to the North Bay Coral Island to explore the corals in its natural eco-system with multicolored and verities of attractive fishes around. One can enjoy the optional Activities like - Snorkelling, Glass Bottom Boat Ride, Swimming, and Trekking etc. And then proceed towards historical place which a separate Island located nearer to Port Blair is called Ross Island, which has a history of being the Head Quarters of the British Rulers for near about 80 yrs and now this, is maintained by the Indian Navy. This Island is left out with the debris of British Headquarters, power house, water treatment plants, church, tennis court, hospitals, markets etc. This island is an ideal destination for nature walk under the greenery surroundings with deer, peacocks, exotic birds, etc. 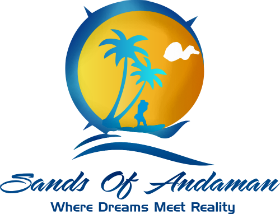 Starts early in the morning, sail across the Black Waters of Andaman passing through the panoramic views of untapped Isles and depths of heavenly beauties of Andaman. The Havelock Island is considered to be one of the best places to visit for the tourists in the world, where you can enjoy the finest sandy beaches of Radhanagar which has in fact occupied the space in the list of world famous Beaches in Asia and also another beach called Kalapathar beach. And then overnight stay at respective hotel in Havelock. After breakfast we will take you to the other island called Neil Island where you can visit Bharathpur beach and natural rock formation. Evening return to Port Blair. Overnight stay at Port Blair. After lunch proceed for visiting Chidiyatapu Beach (35kms from Port Blair). 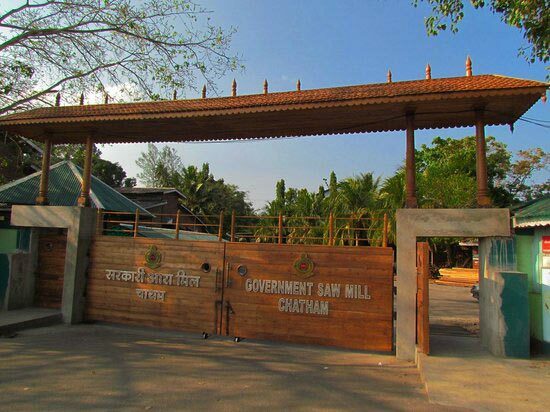 It is the southernmost tip of South Andaman. The lush green mangroves, forest cover with numerous chirping birds and the Sylvan Sands and Mundapahar beaches make it an ideal picnic site. Overnight stay at Port Blair. The above package cost is meant for a couple (2 Adults). Package included with Bed and Breakfast only. In order to book a package a confirmation mail need to be sent in the company’s e-mail id. No bookings will be confirmed over the phone or any other mode of communication accepts mails. Once the confirmation mail is received the rooms will be blocked as per the availability in the hotels. The rates are subjected to change by the hotel without any prior information so if this happens the client need to bear the charges. All the bookings will be considered as 100% confirm only after receiving 50% of the package amount as company need to pay all the hotels in advance in order to confirm the booking. If payment has to be done from online gateway then client has to pay an extra 2 % of bank charges on total amount deposited. Bookings come between (December 15 – January 15) client has to pay 100% of the package amount. A confirmation mail need to be sent with the deposit slip attached after depositing the 50% of amount. Once the amount is received company will send you the soft copy of the confirmation voucher with the complete details of itinerary, hotel bookings and payment details. As being a package tour operator we do not deal with flight tickets. So client need to book the flight tickets (Too and Fro) by their own. Ferry tickets which includes luxury ferry (Makruzz & Coastal) and Govt. Ferry will be booked in advance. No fixed seats can be booked in govt. ferry but in Makruzz we will provide you fixed seats according to the class mentioned in the package. Child above 2 yrs is liable for full entry charges in case of Lime stone cave at Baratang island only. Ferry tickets, hotel confirmation voucher and a hard copy of the booking confirmation voucher will be handed over to the client on the day of arrival. As the company website is a static where changes cannot be made so for current rates of the package client need to contact us. Vehicles are charged on per day basis based on sightseeing so any extra usage of the vehicles will be charged extra. All the personal belonging has to been taken care by the client on their own risk and the company will not be responsible for any loss or theft. The standards check in and checkout time for all the hotels (Port Blair, Havelock,and Neil etc.) is 0800 hrs. And early check in and late checkout depends on the rooms availability and also there is a possibility that hotel may charge extra for early check in and late checkout. Any sort of up-gradation weather it’s a hotel room type, Makruzz tickets or package up gradation will be charged extra and client has bear the cost. The itinerary are subjected to change due to govt. or public holidays or due to some notice issued by Govt. but all the changes will be informed to client on day to day basis. All the cancellation has to done through mail communication. A written confirmation has to be provided by the client if the client is cancelling the tour. No phone communication will be entertained and cancellation will only be processed from day of receiving a confirmation mail for cancellation. 10% processing fee will be charged for the cancelation done on or before 30 days and the remaining amount will be refunded. 50% processing fee will be charged for the cancellation done before 21 days and the remaining amount will be refunded. No refund will be provided for the cancellation done less than 20 days or for No show. No refund for the client if the client is cancelling the tour in middle. No refund will be provided if the client does not use any of the facilities like hotels, water activities, vehicles etc. All refunds will be made through online or through cheque and will take 07 to 10 of working days. The company will not be responsible for any refund if the tour is affected due to weather condition or any natural cause.